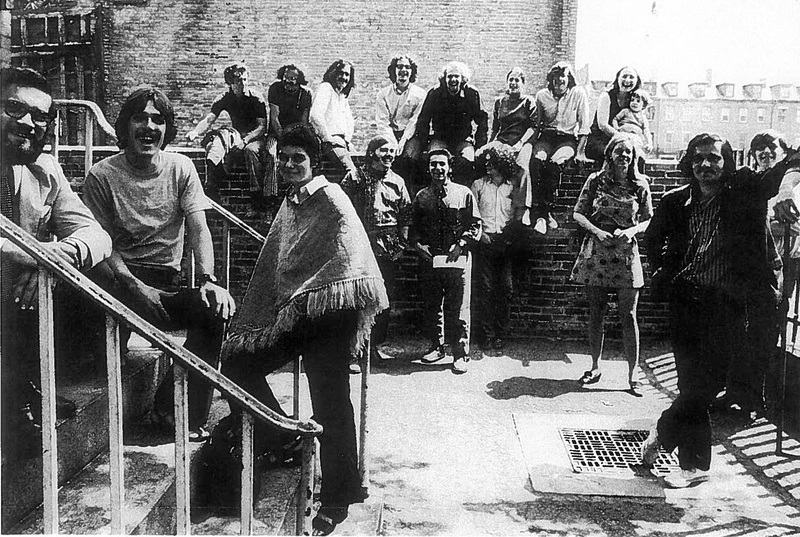 1967: Project Place began as “Place,” a supportive community for runaway and drug-addicted youth. “If you do good things and work hard, good things will happen for you,” says Tony Raymond. Raymond came to Project Place not long after his release from prison, when he was living in a halfway house. He attended our work readiness classes and built up a record of work through our social enterprise programs. He quickly landed a part-time job at H&R Block that he supplemented with additional employment at Home Depot. In the fall of 2016, he went back to college to learn tax preparation. The seeds of Raymond’s success—and that of so many other Project Place clients—were planted 50 years ago, in 1967, when a Harvard seminary student named Peter Callaway opened the doors of a crash pad, first in Somerville and then in the South End, to the scores of young men and women he saw living on the streets. It was a time of great political and social upheaval in the United States and around the world. Most of the young people Callaway encountered were struggling with drug addiction. Working with five other classmates, Callaway established Place, a refuge where young people who had nothing could get a bed, a meal, community, and adults that listened rather than lectured. 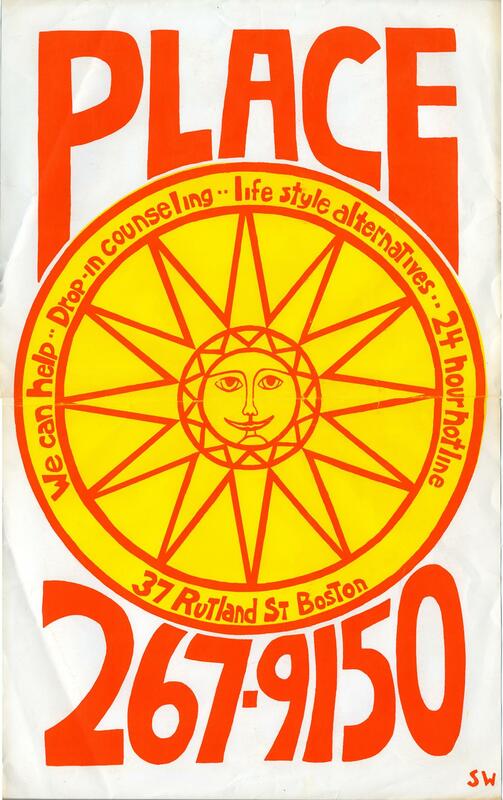 1969: A “Place” poster promotes the agency’s services, including the nation’s first 24-hour hotline. “It started out as a project to talk to people,” Callaway told the Boston Globe in 1987 as the organization marked its 20th anniversary. In the 50 years since Callaway opened the doors to help youth living on the streets, we changed our name to Project Place and have provided more than 67,000 people in need with legal, educational, housing and employment services. We’ve assisted more than 1000 homeless people in securing permanent housing. Through our social enterprise programs, we have created 1200 job opportunities. Since 1995 we have seen 2000 individuals work their way out homelessness after graduating from Project Place programs. 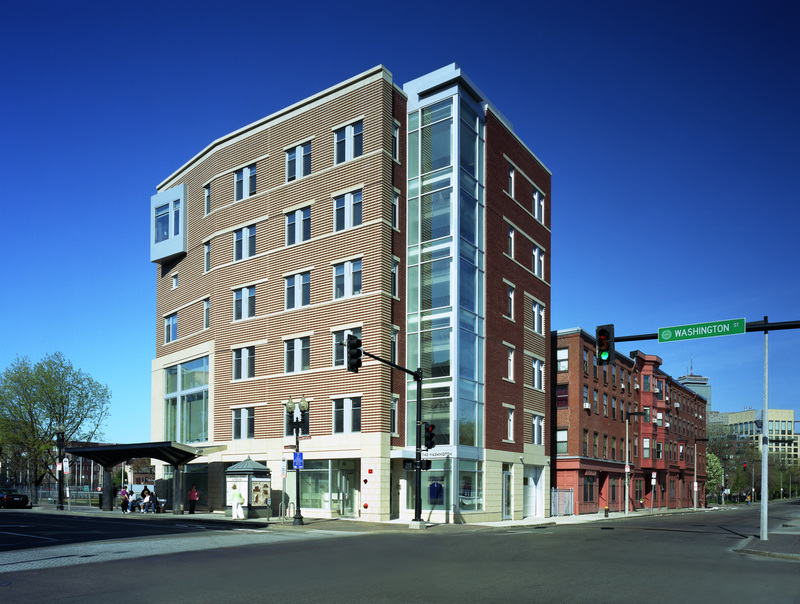 In 2007, Project Place celebrated the grand opening of our brand new building at the corner of Washington and East Berkeley streets. With 14 apartments, classrooms, a computer lab, a commercial training kitchen, and comfortable community space, our forever home has enabled us to significantly expand our programs and services and see even greater success. Now, more than 1400 people seeking assistance come through our doors every year. Many need emergency services and are thus referred to appropriate services outside of Project Place. Roughly 450 individuals annually enroll in one of our job training programs, which provide education, paid employment experience, and case management; or one of our housing programs, which offering permanent housing for people moving out of homelessness, transitional housing for women, and on-site support to individuals living in single-room occupancy residences. We’re proud to say that 67 percent of our job training grads are placed in jobs and 72 percent of them remain employed one year later. Likewise, 64 percent of our clients obtain stable housing and 76 percent remain housed one year later. 1997: The Clean Corners…Bright Hopes crew poses with new equipment. 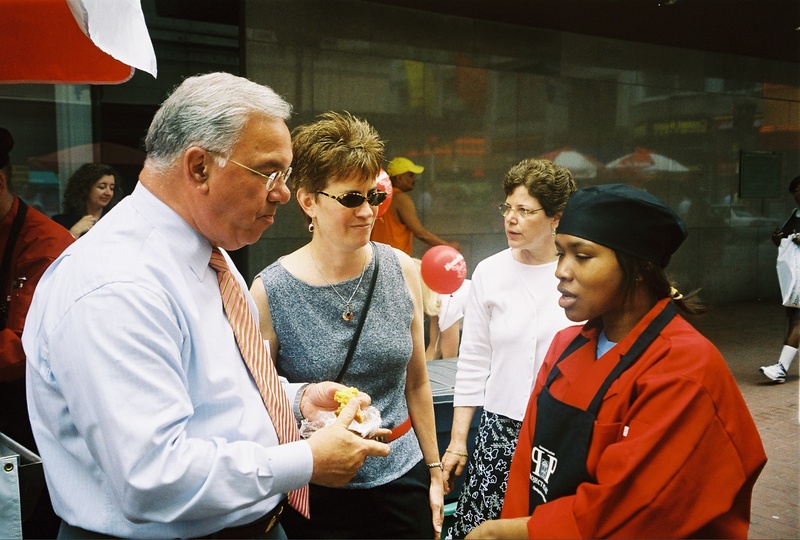 2004: Former Boston Mayor Tom Menino chats with a client and Executive Director Suzanne Kenney at HomePlate’s grand opening. Initial funding for the venture came from an $840,000 grant from the U.S. Department of Housing and Urban Development. 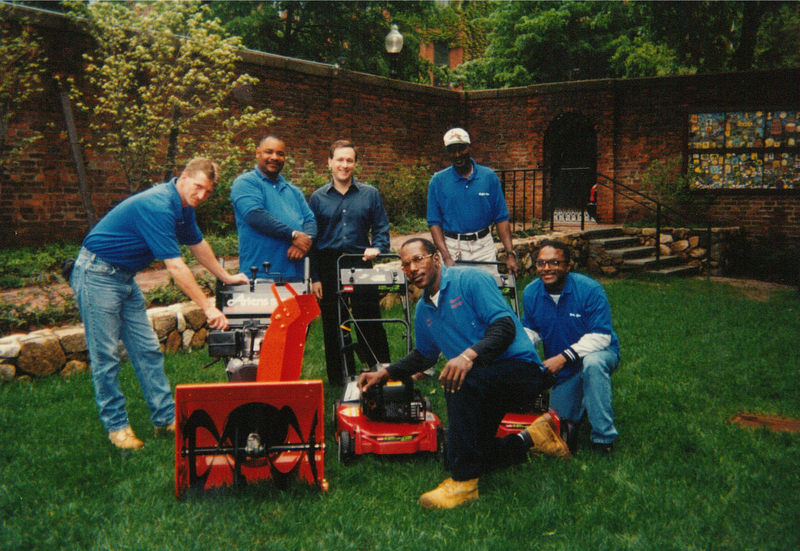 Since then, Clean Corners has grown into a highly regarded facilities maintenance social enterprise program that’s helped thousands of formerly homeless individuals gain paid to learn valuable work experience and training in skills that transfer directly to employment in a variety of industries, including custodial services, facilities maintenance, waste management, and landscaping. In addition to the city of Boston, other Clean Corners clients have included the Boston Red Sox, City Year, Cristo Rey School, and the New England Holocaust Memorial/Combined Jewish Philanthropies. Today, Project Place runs four social enterprise programs, including Clean Corners, that are geared solely toward helping adults with few employable skills who have been chronically under- or unemployed. This includes people recovering from substance use, people who have recently been released from prison, veterans, people dealing with mental illness, homeless women with children and individuals with extremely low incomes. Based on five decades of helping people build—or rebuild, in many cases—fulfilling and productive lives, we believe that the most effective, sustainable solution to ending homelessness is self-sufficiency through work. 2007: Project Place moves from a brownstone on Rutland Street to a brand new building on Washington Street. Even as we look back on the past five decades of change, we’re looking ahead to the future. Over the next two years we will open two new social enterprise businesses and expand our current ones to serve up to 50 percent more individuals. We will also expand our nationally recognized prisoner reentry program. Across the country, the job placement rate for those leaving prison is 11 percent. By contrast, 67 percent of those who complete Project Place’s program successfully secure employment upon leaving prison. We’re excited to be replicating our program in several new counties in Massachusetts. Last, to keep our clients competitive in the local job market, we are adding new training programs that will teach a greater range of skills specifically being sought by local employers.